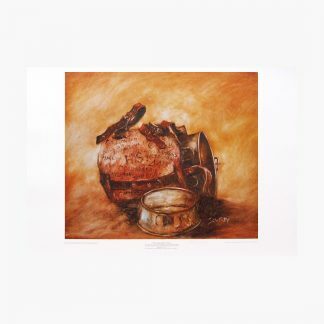 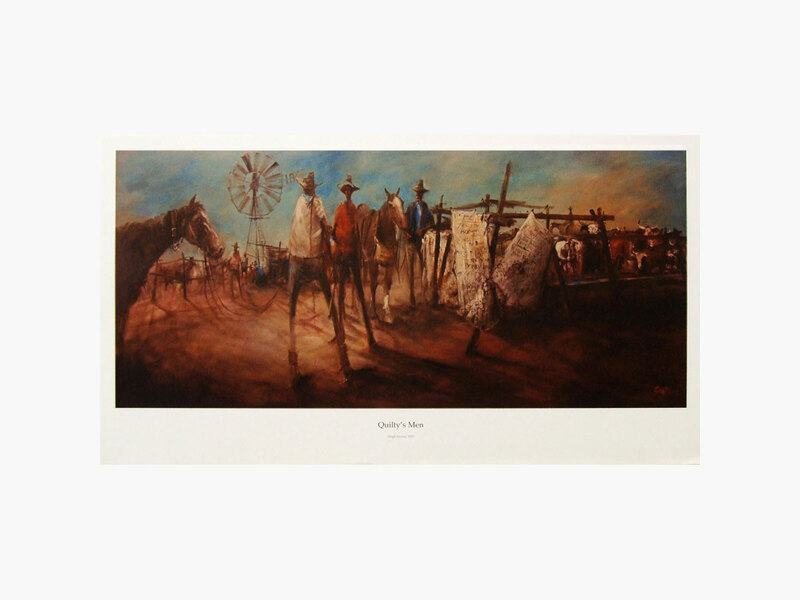 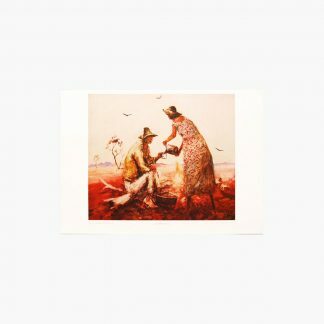 Limited edition lithographic print, 780 x 350 mm (31×14inches). This work is part of a previously published edition based on on an original mural of 3050 x 1037mm. 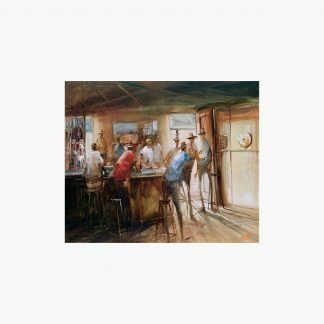 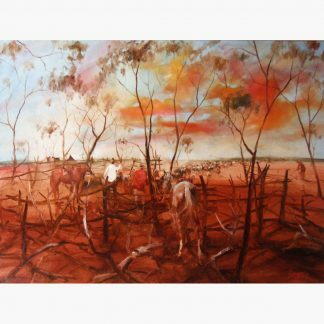 The original of this work is over three meters long and fetched over $100,000 at auction in 2005. 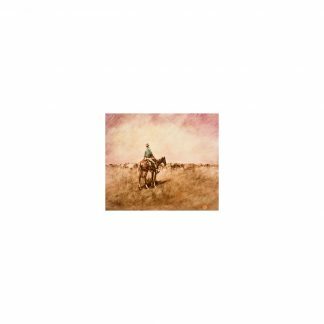 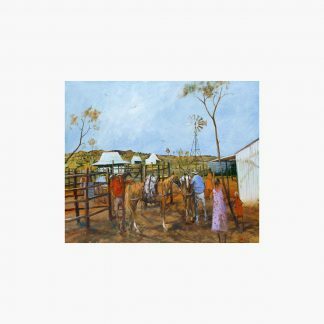 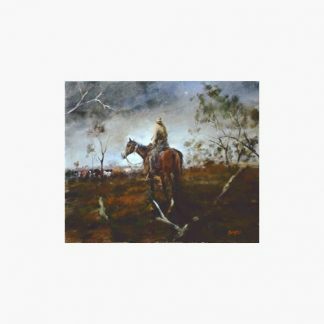 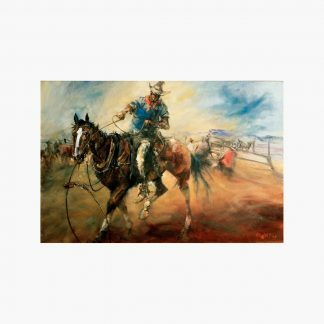 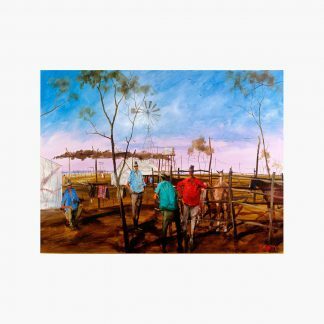 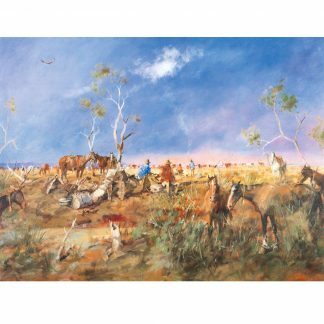 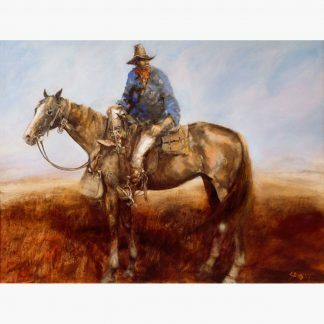 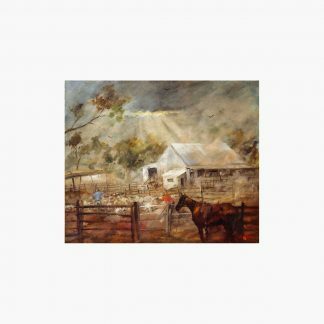 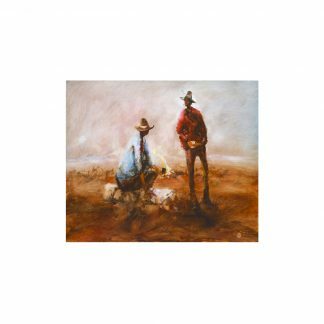 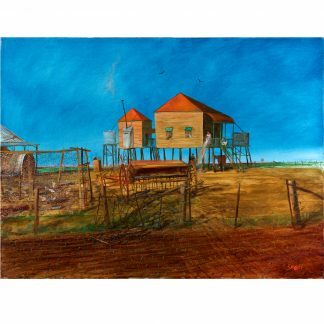 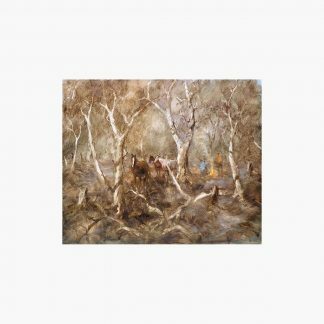 The title refers to Tom Quilty a famous pastoralist from the turn of the 20th century. 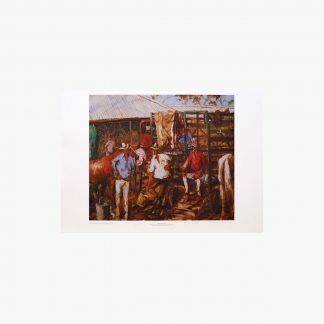 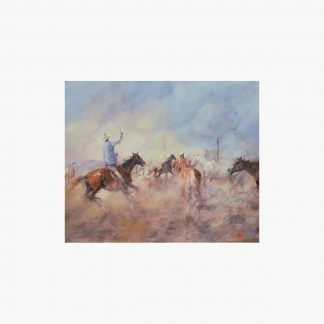 In this scene his most trusted riders have just completed drafting stock which they have brought in to a major bore and holding area on one of his properties. 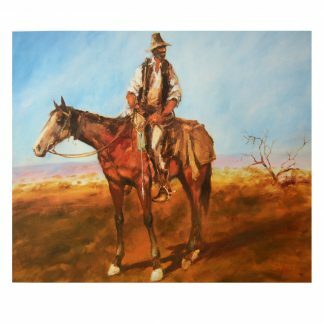 Many are unhandled cattle that have probably, as indicated by their uncut horns, been out in the bush since birth. 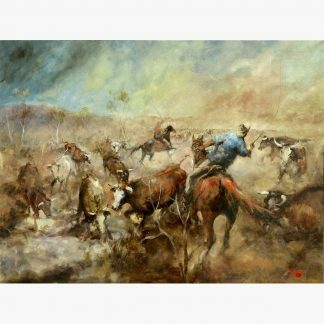 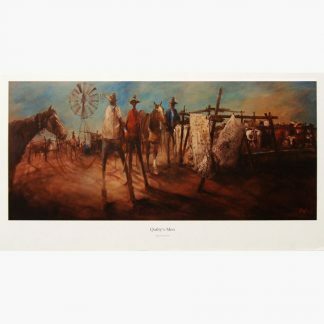 The scene only shows a smalll portion of the operation which, going by the stock tallies scrawled on the hessian sacks hung on the fence, would have consisted of thousands of cattle and dozens of riders.